Where every day feels like Saturday! 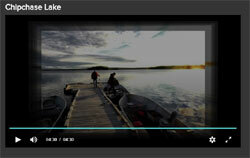 We love it when our Customers send in their fishing trip videos: this just arrived and its too good not to share! It's a big time stress reliever! ... how do you think about anything else when you are fighting a fish? Greg and I had a great week. we caught over 1000 walleye. There were well over 200 in the slot size (>18"). This is the most large walleye that have ever been caught on a trip to whiteclay for me. The slot size protection is working. It seems that each trip has more large fish being caught. Our largest northern was 43". It was caught on a jig while walleye fishing. Received your card. Congratulations on 25 Years! We speak often about the great times we had at Ogoki! A Tribute to you both! Congratulations on 25 years. I have many fond memories of my time with Jack at Ogoki.
. . . Nicole will take you on a guided tour! This website will take you every step of the way for a worry free fishing vacation! Let us introduce ourselves; Judy & Paul Boucher and family. We've been doing this for 25 years and have learned a thing or two on how to take the worry out of the wilderness experience. 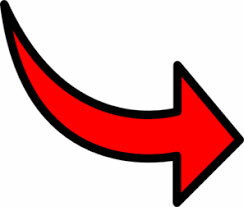 Our staff will help you with anything you may not understand or solve any mechanical glitch right away. In short: we treat you like family! Just a note to let you know our recent fishing junket to your Mojikit South Outpost. I've been coming to Armstrong area since 1972 and have probably flown in with 6-7 different outfitters over the years to numerous outposts. Your Mojikit South camp is clearly the nicest camp I have been to. The cabin is beautiful and roomy. Great kitchen and dining area. Beautiful screened in deck and outside porch overlooking the channel. Large chest freezer and a frig that actually keeps things cold. Screened in fishing cleaning house with running water. Bedrooms that are roomy. Vaulted ceiling the the cabin is a plus. 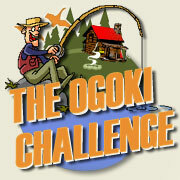 The cabin is centrally located to both the lake and the Ogoki Reservoir. The boats are the best that I've ever experienced at an outpost. The inside bottoms consist of flat carpeted panels... easy to get in and out of. 1st time I've fished an outpost with "dry" feet. The boats had comfortable swivel seats and 15 & 20 hp 4-stroke engines that worked great. We will definitely be back. Everything about Ogoki Frontier was quality. My two grandchildren had the time of their lives, as did the other 2 members of our party. Thanks for the memories. At Ogoki Frontier we pride ourselves in providing a great fishing vacation and doing everything we can to make your outpost fishing trip enjoyable and comfortable. If you take the time to compare, here are some areas we think are important when buying a fly in outpost fishing trip or hunting trip. 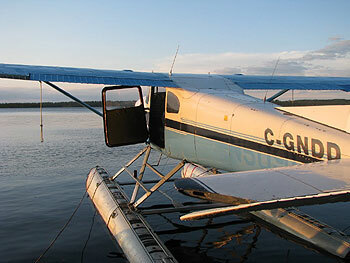 There are certain tell tale signs that help a float plane pilot to determine the speed of the wind. A wind of 1 to 2 knots: smoke drifts and water ripples. A wind of 4 to 6 knots: leaves rustle; small wavelets break the surface of water bodies but there are no whitecaps. A wind of 7 to 10 knots: leaves and small twigs move as do flags; scattered whitecaps break the surface of a water body. A wind of 11 to 16 knots: small branches move; long waves and frequent whitecaps can be seen on water surfaces. A wind of 17 to 21 knots: small trees sway; many long whitecaps break the water surface. A strong wind of 25 to 31 knots; large branches move; large waves, spray and white foam crests break the surface of water bodies. NOW Its time to choose! . . . Lets have a look at your choices. 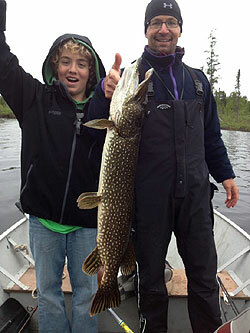 Ontario Fly-In Outpost Fishing and Hunting Trips. Copyright 2017 Ogoki Frontier All rights Reserved.